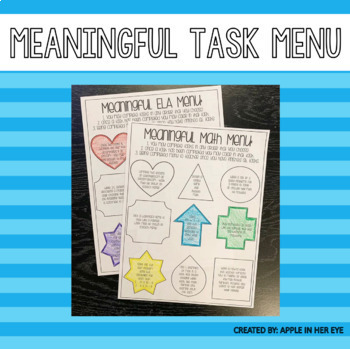 These task menus are meant for students to work on when they complete designated work during either the math or ELA block. 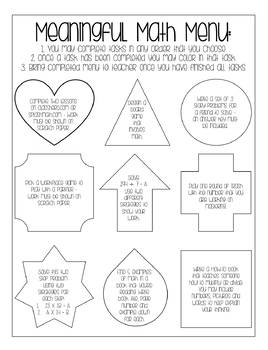 Each menu comes with NINE different tasks that students can complete in any order. 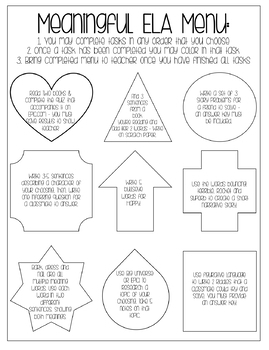 Every time a student completes a task he or she colors in the shape that the task was presented in. When a full "menu" has been completed they can turn the menu in. Each activity is a meaningful task that is related to either math or ELA, focused here at a fourth grade level, BUT both menus are fully editable and customizable to fit your classroom needs.